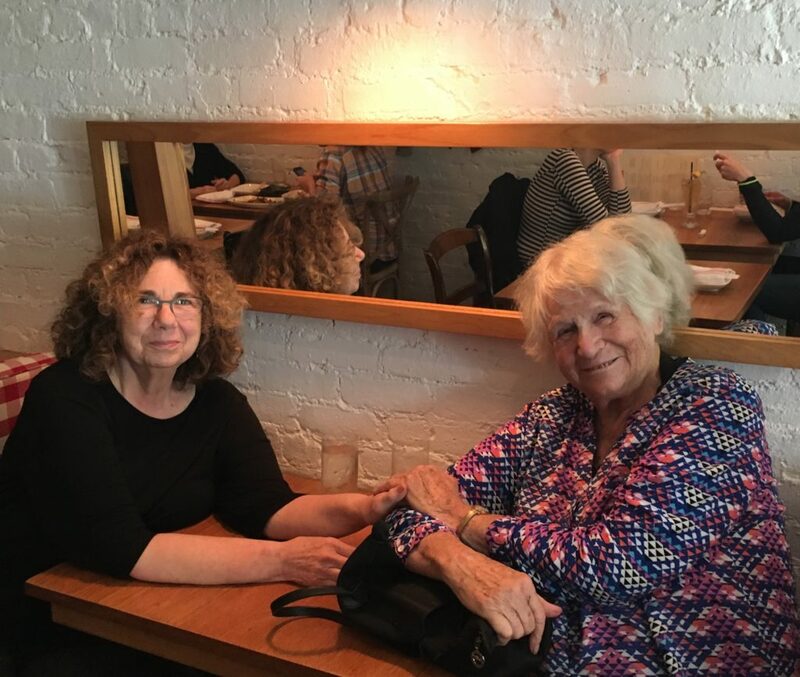 For the last few years I’ve become special friends with Deborah Meier. Each time that I meet with her, I feel as though I’m soaking up her wisdom and her inspiring trust in children and in teachers. Trust is a word that seems to weave its way through my thinking, more and more – lack of trust and need for trust. A few years ago I had a rather long telephone conversation with Eva Moskowitz founder and CEO of the Success Academy Charter Schools. It was supposed to be a ten minute conversation but it went on for almost forty minutes. She wanted to pick my brain about play and choice time. She shared with me her observation that, although the children in her schools were learning to read and write very well, they were not well socialized. There were many fights and behavior problems. She thought that, perhaps, the children needed some opportunities to play. She remembered that when her child went to the progressive public school, the Manhattan New School, there was a lot of block play and inquiry projects. Perhaps her students needed something similar. It was a strange, uncomfortable conversation. There didn’t seem to be a an understanding of what young children needed if they were to be well-educated. I didn’t pick up, from our conversation, a knowledge of developmentally appropriate curriculum and why it was important to think of this when planning for a child’s education. She was basically interested in following a fix-it -up approach to one particular issue rather than something that philosophical underpinning or understanding. She wanted a quick fix. More than two decades ago, Deborah Meier warned that the idea of democracy was in peril. “Is it ever otherwise?” she asked in the preface to The Power of Their Ideas, her elegantly argued manifesto for public education. A self-described preacher on its behalf, she has spent half a century nurturing “everyone’s inalienable capacity to be an inventor, dreamer, and theorist—to count in the larger scheme of things. Drills, scripted teaching and standardized testing threatened our national genius for inventiveness. We had entered risky terrain, five-year-olds deemed failures before they reached kindergarten. We knew that flexibility, perseverance, empathy, curiosity, social awareness, and resilience are best developed in exploratory play, yet these qualities were now missing from the lives of growing numbers of our youngest citizens. With harsh discipline, and incentives offered for good behavior and high scores on practice tests, Moskowitz remains convinced she can close the achievement gap between her students, the vast majority of whom are black or Latino living in poverty, and their more affluent, white peers. Her methods are abusive. Students’ every movement is monitored. Daydreaming is prohibited. Children are shamed, their lackluster performances on weekly spelling and math quizzes posted in a red zone on charts in the hallway.Her strategies betray appalling ignorance of child development. From the moment of birth, children’s interactions with sensitive caregivers fuel their social, emotional and intellectual development, with enduring effects on their future capacities. The process of bonding, or attunement, is the first order of business. The choreography of this dance is nuanced, babies building basic trust, a sense of security and optimism that nurtures their desire to engage in the world and take on challenging tasks with persistence and pleasure. In development-speak, the phenomenon of applying nose to the grindstone is called “mastery motivation,” a process by which children acquire a sense of competence and control. Kids continue to hone these skills in play. Their insatiable curiosity and new knowledge form the foundation for the students, not to mention the human beings and citizens, they will become. Moskowitz talks and writes about how she is providing schools of choice for parents who previously had no opportunities to choose schools for their children and who were limited by often inferior public schools in their neighborhoods. However, I wonder about the children who have parents who don’t understand the system of applying for charters or who are too overcome by their survival problems to spend time and energy filling in applications and taking part in a lottery. What about those children? What about the children who have special needs, emotional or physical, and who are steered away from the Success schools? I also wonder if the government officials who support these schools, such as Michael Bloomberg and even Barack Obama, would send their children to schools where the main focus is on preparing for standardized tests and where children are trained to sit like robots, where competition beats collaboration, and where children are learning through rote and intimidation? Susan Ochshorn gives us more than a well-written book review. She presents a provocation, pushing us to consider deeply what it is that we really expect from early childhood education and what we want for our children. This entry was posted in Investigating Choice Time: Inquiry, Exploration, and Play on December 17, 2017 by Renee. Nancy, I know what you mean about angry stomach-churning! It amazes me that more people don’t get upset over what is happening to children in the name of education. We must keep up the fight.